2016 Outstanding Advisory Council Member award. 21ST CENTURY EXTENSION EDUCATOR STUDY of "A Review of the Attributes and Evolving Expectations/Competencies of Highly Effective 21st Century Extension Professionals"
Nair, S., Gouge, D. H., Rust, M. K., Li, S., Schuch, U. K., Fournier, A. J., Kopec, D. M., Umeda, K., Baker, P. B., Brown, L. M., & Duggal, N. (2015). Handbook on pests of community environments in the desert southwest United States. . Maricopa AZ: University of Arizona Cooperative Extension/Arizona Pest Management Center. Brown, L., Ellsworth, P. C., Hughes, G. B., Bundy, S., Porter, P., Barlow, V. M., Naranjo, S., Kerns, D., Mostafa, A. M., & Fournier, A. J. (2013). Natural Enemies of the Southwest: A field guide to the arthropod natural enemies of southwestern field crops . The University of Arizona. Lydia, B., Ellsworth, P., Hughes, G., Bundy, S., Porter, P., Barlow, V., Naranjo, S., Kerns, D., Mostafa, A., & Fournier, A. (2013). Natural Enemies of the Southwest: A field guide to the arthropod natural enemies of southwestern field crops . Ellsworth, P. C., Fournier, A. J., Farrar, J. J., & Crump, A. (2018). Employing California Pesticide Use Data for Evaluating Integrated Pest Management Programs and Informing Pesticide Policy and Regulation. In Managing and Analyzing Pesticide Use Data for Pest Management Environmental Monitoring Public Health and Public Policy (pp 225-237). American Chemical Society. Brown, L. M., Li, S., Ellsworth, P. C., Sullivan, M., & Molet, T. (2011). Cotton Commodity-based Pest Survey. In In USDA-APHIS, Cooperative Agricultural Pest Survey (CAPS) (pp 153 pp.). Brown, L., Li, S., Ellsworth, P. C., Sullivan, M., & Molet, T. (2011). Cotton Commodity-based Pest Survey Guidelines. In USDA-APHIS, (CAPS) Cooperative Agricultural Pest Survey (p. 153). Ellsworth, P., & Rice, K. (2010). Section IIE, Invertebrates: Insect & Mite Management on Alfalfa. In Arizona PCA Study Manual . Arizona Crop Protection Association. Farrar, J. J., Ellsworth, P. C., Sisco, R., Baur, M. E., Crump, A., Fournier, A. J., Murray, M. K., Jepson, P. C., Tarutani, C. M., & Dorschner, K. W. (2018). Assessing Compatibility of a Pesticide in an IPM Program. JOURNAL OF INTEGRATED PEST MANAGEMENT , 9(1). Jalali, M. A., Mehrnejad, M. R., Ellsworth, P. C., Ranjbar, F., & Ziaaddini, M. (2018). Predator performance: inferring predator switching behaviors based on nutritional indices in a coccinellid-psylla-aphid system. PEST MANAGEMENT SCIENCE , 74(12), 2851-2857. Vandervoet, T. F., Ellsworth, P. C., Carriere, Y., & Naranjo, S. E. (2018). Quantifying Conservation Biological Control for Management of Bemisia tabaci (Hemiptera: Aleyrodidae) in Cotton. JOURNAL OF ECONOMIC ENTOMOLOGY , 111(3), 1056-1068. Crump, A., Farrar, J., Fournier, A., & Ellsworth, P. (2017). Using pesticide use reporting databases to provide comments on regulatory processes and policies. ABSTRACTS OF PAPERS OF THE AMERICAN CHEMICAL SOCIETY , 254. Ellsworth, P. C. (2017). A. Pubs that UAVitae is unable to properly import from standard bibliographic interchange files!!!. Please click on PDF at left for complete listing!!! . Judicious use of pesticides is generally accepted as an important pest-control tactic in integrated pest management programs, but not all pesticides are equally appropriate. When this project began, there was not an appropriate tool or set of criteria available to evaluate how well a proposed pesticide use fit within an IPM program. The Western Integrated Pest Management Center and Western Inter-Regional Project #4 (IR-4) collaborated to develop the IPM Compatibility Guidance Document—a set of criteria and instructions for evaluating the potential IPM fit of a proposed pesticide use. The IPM Criteria Guidance Document includes a set of instructions and examples to help IR-4 project requestors develop a ranking and a short narrative description (termed an IPM Fit Statement by the IR-4 Project) of a proposed pesticide use within an IPM program. The IPM Criteria Guidance Document lists 21 specific factors in eight categories—efficacy, economic benefit, nontarget effects, resistance concerns, environmental fate, worker risk, compatibility with monitoring, and utility as a preventative—with descriptors of affirmative, intermediate, and negative compatibility attributes. A survey of project requestors and their IPM Fit Statement submissions indicates that the IPM Criteria Guidance Document is helpful and its use increased the breadth of IPM factors addressed in IR-4 project requests. The IPM Criteria Guidance Document, as a model for formalizing pesticide ‘fit’ assessment, may have broader application in evaluating pest-management tools for their compatibility in IPM programs. Farrar, J., Crump, A., Fournier, A., & Ellsworth, P. (2017). Employing pesticide use data to evaluate the impact of integrated pest management programs in Arizona and California. ABSTRACTS OF PAPERS OF THE AMERICAN CHEMICAL SOCIETY , 254. Naranjo, S. E., & Ellsworth, P. C. (2017). Methodology for Developing Life Tables for Sessile Insects in the Field Using the Whitefly, Bemisia tabaci, in Cotton As a Model System. JOVE-JOURNAL OF VISUALIZED EXPERIMENTS . Naranjo, S. E., & Ellsworth, P. C. (2017). Methodology for Developing Life Tables for Sessile Insects in the Field Using the Whitefly, Bemisia tabaci, in Cotton As a Model System. Journal of visualized experiments : JoVE . Life tables provide a means of measuring the schedules of birth and death from populations over time. They also can be used to quantify the sources and rates of mortality in populations, which has a variety of applications in ecology, including agricultural ecosystems. Horizontal, or cohort-based, life tables provide for the most direct and accurate method of quantifying vital population rates because they follow a group of individuals in a population from birth to death. Here, protocols are presented for conducting and analyzing cohort-based life tables in the field that takes advantage of the sessile nature of the immature life stages of a global insect pest, Bemisia tabaci. Individual insects are located on the underside of cotton leaves and are marked by drawing a small circle around the insect with a non-toxic pen. This insect can then be observed repeatedly over time with the aid of hand lenses to measure development from one stage to the next and to identify stage-specific causes of death associated with natural and introduced mortality forces. Analyses explain how to correctly measure multiple mortality forces that act contemporaneously within each stage and how to use such data to provide meaningful population dynamic metrics. The method does not directly account for adult survival and reproduction, which limits inference to dynamics of immature stages. An example is presented that focused on measuring the impact of bottom-up (plant quality) and top-down (natural enemies) effects on the mortality dynamics of B. tabaci in the cotton system. Asiimwe, P., Ellsworth, P. C., & Naranjo, S. E. (2016). Natural enemy impacts on Bemisia tabaci (MEAM1) dominate plant quality effects in the cotton system. ECOLOGICAL ENTOMOLOGY , 41(5), 642-652. Ellsworth, P. C. (2015). Pubs that UAVitae is unable to properly import from standard bibliographic interchange files!!!. Please click on PDF at left!!! . Naranjo, S. E., Ellsworth, P. C., & Frisvold, G. B. (2015). Economic Value of Biological Control in Integrated Pest Management of Managed Plant Systems. ANNUAL REVIEW OF ENTOMOLOGY, VOL 60 , 60, 621-+. Asiimwe, P., Naranjo, S. E., & Ellsworth, P. C. (2014). Effects of Irrigation Levels on Interactions Among Lygus hesperus (Hemiptera: Miridae), Insecticides, and Predators in Cotton. ENVIRONMENTAL ENTOMOLOGY , 43(2), 263-273. Asiimwe, P., Naranjo, S. E., & Ellsworth, P. C. (2014). Effects of Irrigation Levels on Interactions Among Lygus hesperus (Hemiptera: Miridae), Insecticides, and Predators in Cotton. Environmental entomology . Ellsworth, P. C. (2014). Pubs that UAVitae is unable to properly import from standard bibliographic interchange files. Various . Naranjo, S. E., Ellsworth, P. C., & Frisvold, G. B. (2015). Economic value of biological control in integrated pest management of managed plant systems. Annual review of entomology , 60, 621-45. Biological control is an underlying pillar of integrated pest management, yet little focus has been placed on assigning economic value to this key ecosystem service. Setting biological control on a firm economic foundation would help to broaden its utility and adoption for sustainable crop protection. Here we discuss approaches and methods available for valuation of biological control of arthropod pests by arthropod natural enemies and summarize economic evaluations in classical, augmentative, and conservation biological control. Emphasis is placed on valuation of conservation biological control, which has received little attention. We identify some of the challenges of and opportunities for applying economics to biological control to advance integrated pest management. Interaction among diverse scientists and stakeholders will be required to measure the direct and indirect costs and benefits of biological control that will allow farmers and others to internalize the benefits that incentivize and accelerate adoption for private and public good. Asiimwe, P., Ellsworth, P. C., & Naranjo, S. E. (2013). Relative influence of plant quality and natural enemies on the seasonal dynamics of Bemisia tabaci (Hemiptera: Aleyrodidae) in cotton. Journal of economic entomology , 106(3). The abundance and distribution of insect herbivores is determined by, among other things, plant quality and natural enemies. These two factors vary temporally and spatially, subsequently affecting seasonal population dynamics. The relative influence of plant quality and natural enemies on the seasonal dynamics of Bemisia tabaci (Gennadius) was investigated in a 3-yr field study in cotton. Plant quality was manipulated through varying irrigation regimes: irrigations done at 20, 40, and 60% soil water depletions; and natural enemy densities were manipulated using broad spectrum insecticide applications that reduced their densities compared with unsprayed controls. In each year, densities of B. tabaci eggs, large nymphs and adults were consistently higher when natural enemy densities were reduced compared with when they were left unaltered, regardless of irrigation regime. In contrast, effects of plant quality on densities of all whitefly stages were weak and inconsistent. In addition, natural enemy densities and predator:prey ratios also were not generally affected by plant quality. Interactions between natural enemies and plant quality on whitefly dynamics were rare. In general, whitefly densities were elevated two-thirds of the time and increased two- to sixfold when natural enemy densities were reduced compared with plant quality effects which influenced whitefly densities about one-third of the time and were expressed inconsistently over the years. This indicates that natural enemies exert a comparatively greater influence on seasonal dynamics of B. tabaci in cotton than plant quality, as manipulated by differential irrigation. Crowder, D., Ellsworth, P., Naranjo, S., Tabashnik, B., & Carriere, Y. (2013). Modeling resistance to juvenile hormone analogs: linking evolution, ecology, and management. In Juvenile Hormones and Juvenoids: Modeling Biological Effects and Environmental Fate. ed Devillers J .
Carriere, Y., Ellers-Kirk, C., Harthfield, K., Larocque, G., Degain, B., Dutilleul, P., Dennehy, T., Marsh, S., Crowder, D., Li, X., Ellsworth, P., Naranjo, S., Palumbo, J., Fournier, A., Antilla, L., & Tabashnik, B. (2012). Spatial Prediction of Insecticide Resistance Provides Support for the Refuge Strategy. PNAS . Carriere, Y., Goodell, P. B., Ellers-Kirk, C., Larocque, G., Dutilleul, P., Naranjo, S. E., & Ellsworth, P. C. (2012). Effects of Local and Landscape Factors on Population Dynamics of a Cotton Pest. PLOS ONE , 7(6). Carrière, Y., Ellers-Kirk, C., Hartfield, K., Larocque, G., Degain, B., Dutilleul, P., Dennehy, T. J., Marsh, S. E., Crowder, D. W., Li, X., Ellsworth, P. C., Naranjo, S. E., Palumbo, J. C., Fournier, A., Antilla, L., & Tabashnik, B. E. (2012). Large-scale, spatially-explicit test of the refuge strategy for delaying insecticide resistance. Proceedings of the National Academy of Sciences of the United States of America , 109(3). The refuge strategy is used worldwide to delay the evolution of pest resistance to insecticides that are either sprayed or produced by transgenic Bacillus thuringiensis (Bt) crops. This strategy is based on the idea that refuges of host plants where pests are not exposed to an insecticide promote survival of susceptible pests. Despite widespread adoption of this approach, large-scale tests of the refuge strategy have been problematic. Here we tested the refuge strategy with 8 y of data on refuges and resistance to the insecticide pyriproxyfen in 84 populations of the sweetpotato whitefly (Bemisia tabaci) from cotton fields in central Arizona. We found that spatial variation in resistance to pyriproxyfen within each year was not affected by refuges of melons or alfalfa near cotton fields. However, resistance was negatively associated with the area of cotton refuges and positively associated with the area of cotton treated with pyriproxyfen. A statistical model based on the first 4 y of data, incorporating the spatial distribution of cotton treated and not treated with pyriproxyfen, adequately predicted the spatial variation in resistance observed in the last 4 y of the study, confirming that cotton refuges delayed resistance and treated cotton fields accelerated resistance. By providing a systematic assessment of the effectiveness of refuges and the scale of their effects, the spatially explicit approach applied here could be useful for testing and improving the refuge strategy in other crop-pest systems. Carrière, Y., Goodell, P. B., Ellers-Kirk, C., Larocque, G., Dutilleul, P., Naranjo, S. E., & Ellsworth, P. C. (2012). Effects of local and landscape factors on population dynamics of a cotton pest. PLoS ONE , 7(6). PMID: 22768147;PMCID: PMC3387197;Abstract: Background: Many polyphagous pests sequentially use crops and uncultivated habitats in landscapes dominated by annual crops. As these habitats may contribute in increasing or decreasing pest density in fields of a specific crop, understanding the scale and temporal variability of source and sink effects is critical for managing landscapes to enhance pest control. Methodology/Principal Findings: We evaluated how local and landscape characteristics affect population density of the western tarnished plant bug, Lygus hesperus (Knight), in cotton fields of the San Joaquin Valley in California. During two periods covering the main window of cotton vulnerability to Lygus attack over three years, we examined the associations between abundance of six common Lygus crops, uncultivated habitats and Lygus population density in these cotton fields. We also investigated impacts of insecticide applications in cotton fields and cotton flowering date. Consistent associations observed across periods and years involved abundances of cotton and uncultivated habitats that were negatively associated with Lygus density, and abundance of seed alfalfa and cotton flowering date that were positively associated with Lygus density. Safflower and forage alfalfa had variable effects, possibly reflecting among-year variation in crop management practices, and tomato, sugar beet and insecticide applications were rarely associated with Lygus density. Using data from the first two years, a multiple regression model including the four consistent factors successfully predicted Lygus density across cotton fields in the last year of the study. Conclusions/Significance: Our results show that the approach developed here is appropriate to characterize and test the source and sink effects of various habitats on pest dynamics and improve the design of landscape-level pest management strategies. © 2012 Carriere et al. Many polyphagous pests sequentially use crops and uncultivated habitats in landscapes dominated by annual crops. As these habitats may contribute in increasing or decreasing pest density in fields of a specific crop, understanding the scale and temporal variability of source and sink effects is critical for managing landscapes to enhance pest control. Ellsworth, P., Ellsworth, P. C., Li, X., Degain, B. A., Harpold, V. S., Marçon, P. G., Nichols, R. L., Fournier, A. J., Naranjo, S. E., & Palumbo, J. C. (2012). Baseline susceptibilities of B- and Q-biotype Bemisia tabaci to anthranilic diamides in Arizona. Pest management science , 68(1). Development of pyriproxyfen and neonicotinoid resistance in the B-biotype whitefly and recent introduction of the Q biotype have the potential to threaten current whitefly management programs in Arizona. The possibility of integrating the novel anthranilic diamides chlorantraniliprole and cyantraniliprole into the current program to tackle these threats largely depends on whether these compounds have cross-resistance with pyriproxyfen and neonicotinoids in whiteflies. To address this question, the authors bioassayed a susceptible B-biotype strain, a pyriproxyfen-resistant B-biotype strain, four multiply resistant Q-biotype strains and 16 B-biotype field populations from Arizona with a systemic uptake bioassay developed in the present study. Li, X., Degain, B. A., Harpold, V. S., Marcon, P. G., Nichols, R. L., Fournier, A. J., Naranjo, S. E., Palumbo, J. C., & Ellsworth, P. C. (2012). Baseline susceptibilities of B- and Q-biotype Bemisia tabaci to anthranilic diamides in Arizona. PEST MANAGEMENT SCIENCE , 68(1), 83-91. Naranjo, S., Ellsworth, P., & Dierig, D. (2012). Impact of Lygus spp. (Hemiptera: Miridae) on damage, yield and quality of a new oil-seed crop, Lesquerella fendler. J. Econ. Entomol , 104(5), 1575-1583:. Tabashnik, B. E., Morin, S., Unnithan, G. C., Yelich, A. J., Ellers-Kirk, C., Harpold, V. S., Sisterson, M. S., Ellsworth, P. C., Dennehy, T. J., Antilla, L., Liesner, L., Whitlow, M., Staten, R. T., Fabrick, J. A., Li, X., & Carrière, Y. (2012). Sustained susceptibility of pink bollworm to Bt cotton in the United States. GM crops & food , 3(3), 1-7. Evolution of resistance by pests can reduce the benefits of transgenic crops that produce toxins from Bacillus thuringiensis (Bt) for insect control. One of the world's most important cotton pests, pink bollworm (Pectinophora gossypiella), has been targeted for control by transgenic cotton producing Bt toxin Cry1Ac in several countries for more than a decade. In China, the frequency of resistance to Cry1Ac has increased, but control failures have not been reported. In western India, pink bollworm resistance to Cry1Ac has caused widespread control failures of Bt cotton. By contrast, in the state of Arizona in the southwestern United States, monitoring data from bioassays and DNA screening demonstrate sustained susceptibility to Cry1Ac for 16 y. From 1996-2005, the main factors that delayed resistance in Arizona appear to be abundant refuges of non-Bt cotton, recessive inheritance of resistance, fitness costs associated with resistance and incomplete resistance. From 2006-2011, refuge abundance was greatly reduced in Arizona, while mass releases of sterile pink bollworm moths were made to delay resistance as part of a multi-tactic eradication program. Sustained susceptibility of pink bollworm to Bt cotton in Arizona has provided a cornerstone for the pink bollworm eradication program and for integrated pest management in cotton. Reduced insecticide use against pink bollworm and other cotton pests has yielded economic benefits for growers, as well as broad environmental and health benefits. We encourage increased efforts to combine Bt crops with other tactics in integrated pest management programs. Asiimwe, P., Naranjo, S., & Ellsworth, P. (2011). Relative Influence of Plant Quality and Natural Enemies on the Seasonal Dynamics of Bemisia tabaci (Hemiptera: Aleyrodidae) in Cotton. J. Econ. Entomol . Naranjo, S. E., Ellsworth, P. C., & Dierig, D. A. (2011). Impact of Lygus spp. (Hemiptera: Miridae) on Damage, Yield and Quality of Lesquerella (Physaria fendleri), a Potential New Oil-Seed Crop. JOURNAL OF ECONOMIC ENTOMOLOGY , 104(5), 1575-1583. Naranjo, S. E., Ellsworth, P. C., & Dierig, D. A. (2011). Impact of Lygus spp. (Hemiptera: Miridae) on damage, yield and quality of lesquerella (Physaria fendleri), a potential new oil-seed crop. Journal of economic entomology , 104(5). Lesquerella, Physaria fendleri (A. Gray) S. Watson, is a mustard native to the western United States and is currently being developed as a commercial source of valuable hydroxy fatty acids that can be used in a number of industrial applications, including biolubricants, biofuel additives, motor oils, resins, waxes, nylons, plastics, corrosion inhibitors, cosmetics, and coatings. The plant is cultivated as a winter-spring annual and in the desert southwest it harbors large populations of arthropods, several of which could be significant pests once production expands. Lygus spp. (Hemiptera: Miridae) are common in lesquerella and are known pests of a number of agronomic and horticultural crops where they feed primarily on reproductive tissues. A 4-yr replicated plot study was undertaken to evaluate the probable impact of Lygus spp. on production of this potential new crop. Plant damage and subsequent seed yield and quality were examined relative to variable and representative densities of Lygus spp. (0.3-4.9 insects per sweep net) resulting from variable frequency and timing of insecticide applications. Increasing damage to various fruiting structures (flowers [0.9-13.9%], buds [1.2-7.1%], and seed pods [19.4-42.5%]) was significantly associated with increasing pest abundance, particularly the abundance of nymphs, in all years. This damage, however, did not consistently translate into reductions in seed yield (481-1,336 kg/ha), individual seed weight (0.5-0.7 g per 1,000 seed), or seed oil content (21.8-30.4%), and pest abundance generally explained relatively little of the variation in crop yield and quality. Negative effects on yield were not sensitive to the timing of pest damage (early versus late season) but were more pronounced during years when potential yields were lower due to weed competition and other agronomic factors. Results suggest that if the crop is established and managed in a more optimal fashion, Lygus spp. may not significantly limit yield. Nonetheless, additional work will be needed once more uniform cultivars become available and yield effects can be more precisely measured. Densities of Lygus spp. in unsprayed lesquerella are on par with those in other known agroecosystem level sources of this pest (e.g., forage and seed alfalfa, Medicago sativa L.). Thus, lesquerella production may introduce new challenges to pest management in crops such as cotton. Naranjo, S. E., & Ellsworth, P. C. (2010). Fourteen Years of Bt Cotton Advances IPM in Arizona. SOUTHWESTERN ENTOMOLOGIST , 35(3), 437-444. Abstract: The pink bollworm, Pectinophora gossypiella (Saunders), first invaded Arizona in 1926 and has been a key pest of cotton, Gossypium hirsutum L., since the early 1960s. A broad range of tactics has been developed to manage this pest including a variety of cultural methods, mating disruption via pheromones, sterile insect release, and plant resistance. Transgenic cotton producing the insecticidal proteins of Bacillus thuringiensis Berliner (Bt) was introduced in 1996 and was rapidly and widely adopted by producers in Arizona. Adoption rose to approximately 86% by 2006 and has been more than 93% since 2007 when the state was granted a U.S. Environmental Protection Agency exemption to eliminate required refuge plantings as part of a regional eradication program. The deployment of Bt cotton for selective control of caterpillars led to dramatic regional reductions in abundance of pink bollworm, and associated crop damage and insecticide use. Bt cotton has also been a key technology enabling more selective and biologically-based control approaches for sweetpotato whitefly, Bemisia tabaci (Gennadius), and western tarnished plant bug, Lygus hesperus Knight, two other keys pests of cotton in Arizona. Overall insecticide use (statewide average number of sprays per hectare) in cotton has dropped 88% since 1995. Some challenges ahead include re-invasion of eradicated zones, maintaining susceptibility of pink bollworm to Bt cotton, the economics of Bt cotton use in a post-eradication future, and a rapidly changing agroecosystem. Tabashnik, B. E., Sisterson, M. S., Ellsworth, P. C., Dennehy, T. J., Antilla, L., Liesner, L., Whitlow, M., Staten, R. T., Fabrick, J. A., Unnithan, G. C., Yelich, A. J., Ellers-Kirk, C., Harpold, V. S., Li, X., & Carriere, Y. (2010). Suppressing resistance to Bt cotton with sterile insect releases. NATURE BIOTECHNOLOGY , 28(12), 1304-U119. Tabashnik, B. E., Sisterson, M. S., Ellsworth, P. C., Dennehy, T. J., Antilla, L., Liesner, L., Whitlow, M., Staten, R. T., Fabrick, J. A., Unnithan, G. C., Yelich, A. J., Ellers-Kirk, C., Harpold, V. S., Li, X., & Carrière, Y. (2010). Suppressing resistance to Bt cotton with sterile insect releases. Nature biotechnology , 28(12). Genetically engineered crops that produce insecticidal toxins from Bacillus thuringiensis (Bt) are grown widely for pest control. However, insect adaptation can reduce the toxins' efficacy. The predominant strategy for delaying pest resistance to Bt crops requires refuges of non-Bt host plants to provide susceptible insects to mate with resistant insects. Variable farmer compliance is one of the limitations of this approach. Here we report the benefits of an alternative strategy where sterile insects are released to mate with resistant insects and refuges are scarce or absent. Computer simulations show that this approach works in principle against pests with recessive or dominant inheritance of resistance. During a large-scale, four-year field deployment of this strategy in Arizona, resistance of pink bollworm (Pectinophora gossypiella) to Bt cotton did not increase. A multitactic eradication program that included the release of sterile moths reduced pink bollworm abundance by >99%, while eliminating insecticide sprays against this key invasive pest. Harrington, J., Byrne, P. F., Peairs, F. B., Nissen, S. J., Westra, P., Ellsworth, P. C., Fournier, A., Mallory-Smith, C. A., Zemetra, R. S., & Henry, W. B. (2009). Perceived consequences of herbicide-tolerant and insect-resistant crops on integrated pest management strategies in the western United States: Results of an online survey. AgBioForum , 12(3-4), 412-421. Abstract: We conducted an online survey to assess the potential effects of herbicide-tolerant (HT) and insect-resistant (IR) crops on integrated pest management (IPM) practices in the Western United States For HT crops, participants perceived a decrease in several IPM practices, including crop and herbicide rotations and the combined use of multiple weed control strategies. The most serious potential consequences were considered to be a shift in weed species composition and development of herbicide-resistant weeds. For IR crops, respondents perceived a beneficial reduction in application of both broad-spectrum and selective insecticides. The most significant issues for IR crops were believed to be potential development of target pest resistance and difficulties with management of insect refuges. The survey results support the need for continued emphasis on comprehensive strategies in IPM education programs to prolong the usefulness of HT and IR crops. © 2009 AgBioForum. Naranjo, S. E., & Ellsworth, P. C. (2009). Fifty years of the integrated control concept: moving the model and implementation forward in Arizona. PEST MANAGEMENT SCIENCE , 65(12), 1267-1286. Naranjo, S. E., & Ellsworth, P. C. (2009). Fifty years of the integrated control concept: moving the model and implementation forward in Arizona. Pest management science , 65(12). Fifty years ago, Stern, Smith, van den Bosch and Hagen outlined a simple but sophisticated idea of pest control predicated on the complementary action of chemical and biological control. This integrated control concept has since been a driving force and conceptual foundation for all integrated pest management (IPM) programs. The four basic elements include thresholds for determining the need for control, sampling to determine critical densities, understanding and conserving the biological control capacity in the system and the use of selective insecticides or selective application methods, when needed, to augment biological control. Here we detail the development, evolution, validation and implementation of an integrated control (IC) program for whitefly, Bemisia tabaci (Genn. ), in the Arizona cotton system that provides a rare example of the vision of Stern and his colleagues. Economic thresholds derived from research-based economic injury levels were developed and integrated with rapid and accurate sampling plans into validated decision tools widely adopted by consultants and growers. Extensive research that measured the interplay among pest population dynamics, biological control by indigenous natural enemies and selective insecticides using community ordination methods, predator:prey ratios, predator exclusion and demography validated the critical complementary roles played by chemical and biological control. The term 'bioresidual' was coined to describe the extended environmental resistance from biological control and other forces possible when selective insecticides are deployed. The tangible benefits have been a 70% reduction in foliar insecticides, a >$200 million saving in control costs and yield, along with enhanced utilization of ecosystem services over the last 14 years. Naranjo, S. E., & Ellsworth, P. C. (2009). The contribution of conservation biological control to integrated control of Bemisia tabaci in cotton. BIOLOGICAL CONTROL , 51(3), 458-470. Abstract: Integrated control systems are based on the complimentary contribution of chemical and biological control fostered by conservation of natural enemies. Yet, in the 50 years since the integrated control concept [ICC] [Stern, V.M., Smith, R.F., van den Bosch, R., Hagen, K.S., 1959. The integrated control concept. Hilgardia 29, 81-101] was introduced there are few operational programs and even fewer attempts to analyze the mechanisms that allow chemical and biological control to act in concert. The dearth of demonstrable evidence for the ICC has eroded the credibility of biological control and its usage in operational IPM plans. We used in situ life tables within an experimental design to measure and compare the contribution and interaction of biological control and insecticides as tactical components within three pest management systems for Bemisia tabaci (Gennadius) in cotton. Insecticides were the key factor immediately following applications of broad-spectrum materials or one of two selective insect growth regulators (IGRs), and this mortality replaced that provided by natural enemies. Two to six weeks later, however, mortality from natural enemies, primarily predation, in the IGR regimes rebounded to the high levels observed in untreated controls and became the key factor. Mortality from natural enemies remained depressed in the broad-spectrum insecticide regime. Single IGR applications were sufficient to suppress B. tabaci populations throughout the season, while up to five broad-spectrum applications were needed to achieve comparable control. The chemical residual of IGRs was limited to several weeks, demonstrating a key role for mortality from conserved natural enemies that extended the control interval. This "bioresidual" allows for long-term, commercially-acceptable pest suppression following the use of selective insecticides. We provide a rare experimental illustration of integrated control, where chemical and biological controls "augment one another". Our approach and methodology could be applied to demonstrate and validate integrated control in many other systems, addressing a critical need for implementation of biological control in practicing IPM systems. Crowder, D. W., Ellsworth, P. C., Tabashnik, B. E., & Carriere, Y. (2008). Effects of Operational and Environmental Factors on Evolution of Resistance to Pyriproxyfen in the Sweetpotato Whitefly (Hemiptera: Aleyrodidae). ENVIRONMENTAL ENTOMOLOGY , 37(6), 1514-1524. Crowder, D. W., Ellsworth, P. C., Tabashnik, B. E., & Carriére, Y. (2008). Effects of operational and environmental factors on evolution of resistance to pyriproxyfen in the sweetpotato whitefly (Hemiptera: Aleyrodidae). Environmental entomology , 37(6). Naranjo, S. E., Ellsworth, P. C., & Canas, L. (2008). Mortality and population dynamics of bemisia tabaci within a multi-crop system. JOURNAL OF INSECT SCIENCE , 8, 37-37. Crowder, D. W., Dennehy, T. J., Ellers-Kirk, C., Yafuso, C. M., Ellsworth, P. C., Tabashnik, B. E., & Carriere, Y. (2007). Field evaluation of resistance to pyriproxyfen in Bemisia tabaci (B biotype). JOURNAL OF ECONOMIC ENTOMOLOGY , 100(5), 1650-1656. Crowder, D. W., Dennehy, T. J., Ellers-Kirk, C., Yafuso, L. C., Ellsworth, P. C., Tabashnik, B. E., & Carriere, Y. (2007). Field evaluation of resistance to pyriproxyfen in Bemisia tabaci (B biotype). Journal of economic entomology , 100(5). We determined effects of aerial sprays of the insect growth regulator pyriproxyfen on sweetpotato whitefly, Bemisia tabaci (Gennadius) (B biotype), in Arizona cotton (Gossypium spp.) fields. We measured survival for males and females from a susceptible strain and a laboratory-selected resistant strain, as well as for hybrid female progeny from crosses between the strains. Insects were exposed directly to pyriproxyfen sprays in the field or indirectly in the laboratory by rearing them on sprayed leaves collected from the field. In all tests, survival was higher for the resistant strain than the susceptible strain, but did not differ between sexes in each strain. Survival to the adult stage did not differ between eggs and nymphs directly exposed to sprays. For susceptible and hybrid individuals, survival was lower on leaves collected the day of spraying than on leaves collected 2 wk after spraying. In contrast, survival of resistant individuals did not differ based on the timing of exposure. Dominance of resistance to pyriproxyfen depended on the type of exposure. Resistance was partially or completely dominant in direct exposure bioassays and on leaves collected 2 wk after spraying (h > 0.6). Resistance was partially recessive on leaves collected the day of spraying (mean h = 0.34). Rapid evolution of resistance to pyriproxyfen could occur if individuals in field populations with traits similar to those of the laboratory-selected strain examined here were treated intensively with this insecticide. Carrière, Y., Ellsworth, P. C., Dutilleul, P., Ellers-Kirk, C., Barkley, V., & Antilla, L. (2006). A GIS-based approach for areawide pest management: The scales of Lygus hesperus movements to cotton from alfalfa, weeds, and cotton. Entomologia Experimentalis et Applicata , 118(3), 203-210. Abstract: Understanding the effect of cropping patterns on population dynamics, dispersal, and habitat selection of insect pests has been an unresolved challenge. Here, we studied the western tarnished plant bug, Lygus hesperus (Knight) (Heteroptera: Miridae), in cotton during early summer in central Arizona. We used a general approach based on global positioning system (GPS) and geographic information system (GIS) technologies combined with spatial statistics to assess the maximum distance at which forage and seed alfalfa, fallow fields with weeds, and cotton affect L. hesperus population density. Using a set of 50 cotton fields as focal fields, we found that forage and seed alfalfa as well as weeds acted as L. hesperus sources for these cotton fields. The source effect did not extend beyond 375, 500, and 1500 m for forage alfalfa, weeds, and seed alfalfa, respectively. Conversely, cotton fields acted as L. hesperus sinks, but this effect did not extend further than 750 m from the focal cotton fields. These findings suggest that specific spatial arrangements of these field types could reduce L. hesperus damage to cotton. The spatially explicit approach used here provides a direct evaluation of the effects of agroecosystem heterogeneity on pest population dynamics, dispersal, and habitat selection, which is a significant asset for the development and improvement of areawide pest management. © 2006 The Authors. Crowder, D. W., Carriere, Y., Tabashnik, B. E., Ellsworth, P. C., & Dennehy, T. J. (2006). Modeling evolution of resistance to pyriproxyfen by the sweetpotato whitefly (Homoptera : Aleyrodidae). JOURNAL OF ECONOMIC ENTOMOLOGY , 99(4), 1396-1406. Crowder, D. W., Carrière, Y., Tabashnik, B. E., Ellsworth, P. C., & Dennehy, T. J. (2006). Modeling evolution of resistance to pyriproxyfen by the sweetpotato whitefly (Homoptera: Aleyrodidae). Journal of economic entomology , 99(4). We used computer simulations to examine evolution of resistance to the insect growth regulator (IGR) pyriproxyfen by the sweetpotato whitefly, Bemisia tabaci (Gennadius), biotype B [=Bemisia argentifolii (Bellows & Perring)]. Consistent with trends seen in cotton (Gossipyium spp.) fields in Arizona and Israel, results suggest that evolution of resistance to pyriproxyfen may occur rapidly in this haplodiploid insect. Similar to results from models of diploid insects, resistance evolved faster with increases in toxin concentration, dominance of resistance in females, the initial frequency of the resistance allele, and the proportion of the region treated with pyriproxyfen. Resistance was delayed by fitness costs associated with resistance. Movement between treated and untreated cotton fields had little effect, probably because untreated cotton leaves provided internal refuges in treated fields and whiteflies were controlled with other insecticides in external refuges. Resistance evolved faster when susceptibility to pyriproxyfen was greater in susceptible males than susceptible females. In contrast, resistance evolved slower when susceptibility to pyriproxyfen was greater in resistant males than resistant females. Results suggest that growers may be able to prolong the usefulness of pyriproxyfen by applying lower toxin concentrations and promoting susceptible populations in refuges. Goolsby, J. A., Debarro, P. J., Kirk, A. A., Sutherst, R. W., Canas, L., Ciomperlik, M. A., Ellsworth, P. C., Gould, J. R., Hartley, D. M., Hoelmer, K. A., Naranjo, S. E., Rose, M., Roltsch, W. J., Ruiz, R. A., Pickett, C. H., & Vacek, D. C. (2005). Post-release evaluation of biological control of Bemisia tabaci biotype "B" in the USA and the development of predictive tools to guide introductions for other countries. Biological Control , 32(1), 70-77. Abstract: Climatic matching and pre-release performance evaluation were useful predictors of parasitoid establishment in a retrospective analysis of a classical biological control program against Bemisia tabaci biotype "B" in the USA. Laboratory evaluation of 19 imported and two indigenous parasitoid species in quarantine on B. tabaci showed that the Old World Eretmocerus spp, had the highest attack rate. The climate matching program CLIMEX was used to analyze the establishment patterns of five Old World Eretmocerus spp. introduced to the Western USA. The top matches ±10% for the climate of the area of introduction and origin of the introduced parasitoids always included the species that established. The Old World Eretmocerus spp. came from regions characterized by many separate biotypes of B. tabaci other than "B," but are considered specialists of the B. tabaci complex as compared to the indigenous North American oligophagous Eretmocerus spp. This narrower host range and high attack rate combined with climatic adaptation may account for their establishment in the USA. A set of predictive tools and guidelines were used to select the best candidate for importation and possible release into Australia that has been recently invaded by the "B" biotype. The establishment patterns of the introduced Eretmocerus spp. and a comparison of climates of their respective locations in the USA were compared with the affected area in Australia. The best climatic match was the Lower Rio Grande Valley of Texas suggesting its dominant parasitoid, E. hayati ex. Pakistan be considered as the first candidate for evaluation as a biological control agent. Naranjo, S. E., & Ellsworth, P. C. (2005). Mortality dynamics and population regulation in Bemisia tabaci. Entomologia Experimentalis et Applicata , 116(2), 93-108. Abstract: Natural mortality is an important determinant of the population dynamics of a species, and an understanding of mortality forces should aid in the development of better management strategies for insect pests. An in situ, observational method was used to construct cohort-based life tables for Bemisia tabaci (Gennadius) Biotype B (Homoptera: Aleyrodidae) over 14 generations on cotton in central Arizona, USA, from 1997 to 1999. In descending order, median marginal rates of mortality were highest for predation, dislodgment, unknown causes, egg inviability, and parasitism. The highest mortality occurred during the 4th nymphal stadium, and the median rate of immature survival over 14 generations was 6.6%. Predation during the 4th nymphal stadium was the primary key factor. Irreplaceable mortality was highest for predation and dislodgment, with the absence of these mortality factors leading to the greatest increases in estimated net reproduction. There was little evidence of direct or delayed density-dependence for any mortality factor. Wind, rainfall, and predator densities were associated with dislodgment, and rates of predation were related to densities of Geocoris spp., Orius tristicolor (White), Chrysoperla carnea s.l. Stephens, and Lygus hesperus Knight. Simulations suggest that immigration and emigration play important roles in site-specific dynamics by explaining departures from observed population trajectories based solely on endogenous reproduction and mortality. By a direct measurement of these mortality factors and indirect evidence of adult movement, we conclude that efficient pest management may be best accomplished by fostering greater mortality during the 4th stadium, largely through a conservation of predators and by managing immigrating adult populations at their sources. © 2005 The Netherlands Entomological Society. Naranjo, S. E., Ellsworth, P. C., & Hagler, J. R. (2004). Conservation of natural enemies in cotton: Role of insect growth regulators in management of Bemisia tabaci. Biological Control , 30(1), 52-72. Abstract: Field studies were conducted from 1997 to 1999 to contrast the effects of two insect growth regulators (IGRs) and conventional insecticides on natural enemy conservation in cotton within the context of alternative management strategies for Bemisia tabaci (Gennadius). Compared with an untreated control, insecticide regimes based on the initial use of the IGR buprofezin or pyriproxyfen reduced densities of eight predator taxa out of 20 examined in at least one year, including common species such as Geocoris punctipes (Say), Nabis alternatus Parshley, Chrysoperla carnea s.l., and the empidid fly Drapetis nr. divergens. Patterns of predator and pest population change relative to IGR application dates suggest that factors other than direct toxic effects, such as reduction in prey availability, were likely involved. In comparison, the use of conventional insecticides reduced populations of nearly all the predatory taxa examined in most years, including those affected by IGRs, with the impact being greater and more immediate in all cases. Predator:prey ratios were significantly increased by the use of IGRs compared with both the untreated control and a conventional insecticide regime in most instances. The application of conventional insecticides for suppression of Lygus hesperus Knight, another key pest in the system, in a split-plot design reduced densities of most predator taxa and diminished the selective advantage of the IGRs. Rates of parasitism by aphelinid parasitoids (Eretmocerus eremicus Rose and Zolnerowich and Encarsia spp.) were generally low and did not vary consistently due to B. tabaci or L. hesperus insecticide regimes over the three years. Our 3-year study demonstrates the more selective action of buprofezin and pyriproxyfen in an effective integrated control system for B. tabaci. The use of these IGRs could further facilitate biologically based management in cotton production systems. Naranjo, S. E., Hagler, J. R., & Ellsworth, P. C. (2003). Improved conservation of natural enemies with selective management systems for Bemisia tabaci (Homoptera: Aleyrodidae) in cotton. Biocontrol Science and Technology , 13(6), 571-587. Abstract: A large-scale study was conducted in 1996 to evaluate and demonstrate strategies for pest management of Bemisia tabaci (Gennadius) in cotton involving different insecticide regimes, application methods, and action thresholds. Here we examined the effects of the various management systems on the abundance and activity of native natural enemies. Population densities of 18 out of 20 taxa of arthropod predators were significantly higher in regimes initiated with the insect growth regulators (IGRs) buprofezin (chitin inhibitor) or pyriproxyfen (juvenile hormone analog) compared with a regime dependent on a rotation of conventional, broad-spectrum insecticides. There were no differences in predator density between the two IGR regimes, and generally no effects due to application method or action threshold level. Predator to prey ratios were significantly higher in regimes utilizing the two IGRs compared with the conventional regime, but were unaffected by application method or threshold level. Rates of parasitism by Eretmocerus eremicus Rose and Zolnerowich and Encarsia meritoria Gahan were higher in the IGR regimes compared with the conventional regime, but were unaffected by insecticide application method, or the action threshold used to initiate applications of the IGRs. Results demonstrate the selective action of these two IGRs and suggest that their use may enhance opportunities for conservation biological control in cotton systems affected by B. tabaci, especially relative to conventional insecticide alternatives. Naranjo, S. E., Ellsworth, P. C., Chu, C. C., & Henneberry, T. J. (2002). Conservation of predatory arthropods in cotton: role of action thresholds for Bemisia tabaci (Homoptera: Aleyrodidae).. Journal of Economic Entomology , 95(4), 682-691. PMID: 12216807;Abstract: Studies were conducted in 1994 and 1995 to examine the effects of a range of action thresholds for managing Bemisia tabaci (Gennadius) Biotype B (= B. argentifolii Bellows & Perring) with insecticides in cotton on populations of arthropod predators in Imperial Valley, CA, and Maricopa, AZ. Application of insecticides significantly reduced population densities of spiders, Geocoris punctipes (Say), G. pallens (Stål), Orius tristicolor (White), Nabis alternatus Parshley, Zelus renardii Kolenati, Hippodamia convergens Guerin-Méneville, Spanogonicus albofasciatus (Reuter), Drapetis sp., and Chrysoperla carnea Stephens in one or both years and sites compared with untreated controls. Use of higher B. tabaci thresholds conserved some species and groups relative to lower thresholds. Stepwise regression analyses indicated that reductions in predator populations were generally influenced more strongly by the timing of the first insecticide application than by the total number of sprays necessary to maintain suppression of the pest below any given action threshold. A predation index, which weights the importance of each predator species based on their known frequency of predation on B. tabaci and another key pest, Pectinophora gossypiella (Saunders), was developed and analyzed. Patterns were similar to results based on changes in abundance alone, but the index generally revealed less severe effects of insecticides on overall predator function. The current action threshold for conventional insecticidal control of B. tabaci in Arizona and southern California is five adults per leaf. Results here suggest that predator conservation may be enhanced by raising the initial threshold to delay the first application or initially using more selective materials such as insect growth regulators. Ellsworth, P. C., & Martinez-Carrillo, J. (2001). IPM for Bemisia tabaci: A case study from North America. Crop Protection , 20(9), 853-869. Abstract: A model of whitefly integrated pest management (IPM) has been proposed that conveniently organizes all Bemisia tabaci control tactics into a multi-level, multi-component pyramid and defines three major keys as "sampling", "effective chemical use", and "avoidance". Each component is described along with information about its implementation, adoption, and importance in the low (< 700 m) desert agroecosystem of North America, which recently sustained the introduction and expansion of the B biotype during the 1990s. Insect growth regulators (buprofezin and pyriproxyfen; insect growth regulator (IGR)) in cotton and imidacloprid use in vegetables and melons were key chemical tactics, especially in the US, that were fully integrated with formal sampling plans and action thresholds, and resistance management guidelines. In Mexico, tactics of avoidance such as mandatory planting and harvest dates, post-harvest sanitation, and host-free periods along with strategic use of insecticides implemented cooperatively were key to the recovery of this agroecosystem. A concept, "bioresidual", was developed to explain the extended period of suppression possible through the proper use of IGRs. Organized and sustained grower education was key to the areawide adoption and deployment of this successful IPM plan, which has drastically lowered whitefly targeted insecticide use and whitefly related problems since 1996. © 2001 Elsevier Science Ltd. All rights reserved. Naranjo, S. E., & Ellsworth, P. C. (2001). Special issue: Challenges and opportunities for pest management of Bemisia tabaci in the new century. Crop Protection , 20(9), 707-. Ellsworth, P. C. (2000). Insecticide efficacy and thresholds for Lygus hesperus in Arizona. 2000 Proceedings Cotton Conferences Volume 2 , 1125-1128. Abstract: Changes in insecticide use, available pest control technologies, and local crop ecology together with severely depressed cotton prices place a renewed premium on Lygus control decision aids for Arizona cotton. As part of an on-going program to develop research-based Lygus management recommendations, we investigated the impact of various timings of chemical controls on Lygus population dynamics, number of sprays, costs of control, and net revenue as well as cotton heights, trash, lint turnouts, and yields. Once there were at least 15 total Lygus per 100 sweeps, sprays were made according to the number of nymphs in the sample (0, 1, 4, 8 or 16 per 100 sweeps). Up to 7 sprays were required (15/0 regime) to meet the needs of the target threshold. Lygus adult densities were largely unresponsive to the treatment regimes or individual sprays made. Three generations of nymphs, however, were affected by the treatments with the '15/4' regime harboring the fewest nymphs through July. This 'moderate' regime required 4 sprays and had the shortest plants, cleanest harvest, and highest lint turnouts. In addition, this regime out-yielded all other treatment regimes including the 6- (15/1) and 7- (15/0) spray regimes. Regression analyses of the data suggest that adult Lygus are less related to yield loss than nymphs and that large nymphs are best correlated with yield loss. Thus, spraying based on adults only would appear ill-advised. Returns were highest ($747/A) for the 15/4 regime with over $100 more than the more protective regimes. Thus, there is no economic advantage in advancing chemical control when nymph levels are low. Maximum economic gain was achieved by waiting for the 4 nymphs per 100 level (with 15 total Lygus/100) before spraying. However, waiting too long (beyond the 8 nymphs/100 level) resulted in significant reductions in yield and revenue. Our recommendations, therefore, are to apply insecticides against Lygus when there are at least 15 total Lygus, including at least 4 nymphs, per 100 sweeps. These recommendations are stable over a wide variety of economic conditions (market prices and insecticide costs). Continued work is necessary to verify these findings over a wider range of cotton developmental stages, varieties, and other environmental conditions. Ellsworth, P. C. (1999). Whitefly management in Arizona cotton - status and needs. Proceedings of the 1999 Beltwide Cotton Conference, January, 1999, Orlando, Florida, USA , 41-43. Abstract: It has been less than 6 years since the devastation of the whitefly in Arizona and southern California. Numbers were so dense that windshields were clouded with the bodies of the adults, unprotected cotton fields were 'biologically' defoliated, and fields stood in 'permanent' wilt due to the excessive stress imposed by the immatures. Today our program has evolved from an effective, yet 2-dimensional system of chemical management to a multi-faceted, 3-dimensional and integrated management strategy (Ellsworth et al. 1996a; Ellsworth and Naranjo 1999). Early on the three 'keys' to whitefly management were identified by us and others as 1) Sampling and detection, 2) Effective chemical use, and 3) Avoidance of the problem. Now, this matrix of factors can be represented in the form of a pyramid, an inherently stable structure (Fig. 1). 'Avoidance' is the foundation block upon which 'Effective Chemical Use' and 'Sampling' rest. Confronted with a pest crisis, short term survival depends on the upper two levels of the pyramid. However, sustainable, long-term strategies ultimately must depend on the development of a solid foundation, 'avoidance'. At the same time, a pyramid-strategy developed for one pest must be compatible with like strategies in place for all pests of a system. The building blocks of a successful pest management program can be further subdivided into component parts. Sampling in cotton involves multi-stage and binomial methods of classifying whitefly populations (Ellsworth et al. 1995, 1996c; Diehl et al. 1997a, b, c) and sits at the apex of the pyramid. This represents its overarching importance in the implementation of all insect control tactics. Further, sampling plays a central role in the refinement and understanding of our management strategies. Without well-designed sampling tools, progress in all areas of whitefly management would be hampered. These tools have been adapted for new chemistry as it was developed. Effective chemical use consists principally of the use of action thresholds, availability and understanding of selective and effective chemistry, and a proactive resistance management plan. Action thresholds have been developed that are effective at preventing yield and quality losses (Ellsworth and Meade 1994; Naranjo et al. 1998). These, too, are insect stage-specific and have been optimized for proper deployment of insect growth regulators (IGRs) (Ellsworth et al. 1996c, 1997a,b, 1998a; Ellsworth 1998). The IGRs, Knack® and Applaud®, became available for the first time in this country in 1996 and have had a sensational impact on the selective management of this pest. [However, one cannot understate the importance of concomitant use of Admire® (imidacloprid) in melons and vegetables to the overall, area-wide lowering of pest dynamics.] All chemistry has been organized into a 3-stage program of deployment for resistance management (Ellsworth et al. 1996a). The proactive nature of this program has led to the restriction of use of the new IGRs such that their modes of action may be preserved for as long as possible while providing relief for resistance risk to all products. Ellsworth, P. C. (1998). Susceptibility management of Lygus in the west. 1998 proceedings Beltwide Cotton Conference, January, San Diego, volume 2 , 955-957. Abstract: Lygus management has become more important in Arizona cotton in the last few years due to a series of factors. Two of these factors, widespread availability of insect growth regulators (IGRs) for whitefly control and transgenic 'Bt' cotton for lepidopteran control, have resulted in a drastic reduction in the number of Lygus-active insecticides sprayed in our cotton systems (see Ellsworth, this volume). In 1995, an average of 12.5 foliar insecticide sprays for all insects (1.26 directed at Lygus) were made in Arizona cotton, many of which had some degree of Lygus activity (see Williams, 1996-1998). In 1997, this was reduced to 5.33 applications (2.10 directed at Lygus), and about 0.5 of these were IGRs which have no Lygus activity. This reduction in use has effectively opened a window during which Lygus can cause damage and promoted this pest to major status. Another factor that has also raised the prominence of this pest in our landscape is the substantial increase in alfalfa acreage, including some seed alfalfa, in Arizona. When any 'old' pest comes into prominence, there are often complaints about insecticide spectrum, residual, and performance. In addition, in spite of the reduction in overall foliar insecticide use, resistance to insecticides is an ever-present threat which may be present and may or may not be impacting insecticide performance in each area of production (Dennehy, this volume; Pacheco, this volume). Whatever the causes that have elevated Lygus pest status, we must consider susceptibility management of this and all other pests when constructing sustainable integrated pest management strategies. While this paper was invited to address the problem over the entire West and over multiple crops, my focus will be on Arizona cotton only. The necessity of this approach becomes obvious after considering the large differences in management and chemical efficacy between California (Godfrey, this volume) and Arizona (Pacheco, this volume). Nonetheless, the tenets of susceptibility management are equally relevant across all regions and all crops. They are in their simplest forms: 1) limit insecticide use to the lowest practical level; 2) diversify insecticide use patterns; and 3) partition insecticides among crops and pests such that modes of action are segregated as much as is practically possible. Ellsworth, P. C. (1998). Whitefly management in Arizona: looking at the whole system. Proceedings of the 1998 beltwide cotton conferences, San Diego, CA, USA, January 5-9 1999 , 65-68. Abstract: Whiteflies remain a threat to production of cotton in Arizona. Looking at a series of commercial-scale trials, levels last season were delayed compared to previous years, but at higher densities than in 1995, an outbreak year. Efforts must be expended to optimize insect growth regulator (IGR) use and integrate these tactics with other aspects of crop and pest management. Broad spectrum insecticide use prior to treatment for whiteflies with IGRs alters the ecology of the system. Whitefly densities consistently increased after disruption with a Lygus insecticide relative to Lygus-untreated areas. While Lygus control is a production imperative, guidelines are presented for minimizing the impact of this disruption. The modes of action for the two IGRs differ substantially and result in subtle changes in population age structure and dynamics. The consequences of these changes impact natural enemies and should be noted by producers when selecting an IGR or monitoring populations after treatment. Re-treatment after initial IGR sprays depends on many factors. While apparently simular levels of suppression are possible when only one IGR is used, regimes using both available IGRs resulted in the fewest number of damaging large nymphs late in the season, just prior to defoliation. Conventional insecticides rotated according to pre-IGR introduction guidelines ('95IRM') also suppressed populations significantly and comparably to IGR regimes until late in the season. Then whitefly densities rose aggressively just prior to defoliation and pyrethroid susceptibility was significantly reduced in the 95IRM regime. Full adoption of IGR-based technology along with 'Bt' cotton allows growers to better manage whiteflies with fewer disruptions which can lead to secondary pest outbreaks, pest resurgence, and insecticide resistance. Hentz, M. G., Ellsworth, P. C., Naranjo, S. E., & Watson, T. F. (1998). Development, Longevity, and Fecundity of Chelonus sp. nr. curvimaculatus (Hymenoptera: Braconidae), an Egg-Larval Parasitoid of Pink Bollworm (Lepidoptera: Gelechiidae). Environmental Entomology , 27(2), 443-449. Abstract: Detailed biological information is lacking on Chelonus sp. nr. curvimaculatus, an egg-larval parasitoid of Pectinophora gossypiella (Saunders). We conducted laboratory studies to gain new understanding of the biology of C. sp. nr. curvimaculatus reared on this economically important host. Developmental time, adult longevity, and fecundity of C. sp. nr. curvimaculatus were studied under 5 constant temperatures and 3 photoperiods. At 20°C, parasitoid development, from egg to adult, was longer for females (53.6 d) than for males (49.5 d), but at 35°C both sexes developed in a similar period (19.9 d for females and 18.8 d for males). The thermal constant for female and male C. sp. nr. curvimaculatus, from egg to adult, was 366 and 353 above a base temperature of 12,95°C and 12.47°C, respectively. Adult male (≈16.5 d) and female (≈20 d) parasitoids lived longest at 20°C, and at 35°C both lived ≈6.5 d. True and realized fecundity was highest at 25°C (≈1,034 and 420 eggs per female, respectively) and lowest at 35°C (≈119 and 67, respectively). The percentage of superparasitized host eggs was greatest at 25 and 30°C (≈55%), and lowest at 35°C (≈29%). Net reproductive rates (Ro) were variable across all conditions. Based on the realized fecundity, Ro was highest at 20°C (103.37) and lowest at 35°C (32.79). Temperature and the age of the parasitoid had the greatest influence on fecundity. Photoperiod played a minor role in influencing developmental rates, but not adult longevity or fecundity of C. sp. nr. curvimaculatus. This life history and rearing information should be useful in field release studies and the development of future biological control programs for pink bollworm. Naranjo, S. E., Ellsworth, P. C., Chu, C. C., Henneberry, T. J., Riley, D. G., Watson, T. F., & Nichols, R. L. (1998). Action Thresholds for the Management of Bemisia tabaci (Homoptera: Aleyrodidae) in Cotton. Journal of Economic Entomology , 91(6), 1415-1426. Abstract: A 2-yr, multistate project was initiated in 1994 to determine action thresholds for management of Bemisia tabaci (Gennadius) Biotype B (=B. argentifolii Bellows & Perring) in cotton using chemical insecticides. Identical experimental designs and data collection protocols were used at sites in Brawley, CA, Yuma and Maricopa, AZ, and Weslaco, TX. The prescriptive application of insecticides based on 4 candidate action threshold levels (2.5, 5, 10, or 20 adult B tabaci per leaf) were compared with one another and an untreated control. In general, there were few differences in whitefly populations among action thresholds of 2.5, 5, and 10 adults per leaf at sites in Arizona and California. All insecticide treatments typically reduced population densities below those in untreated control plots. Insecticide applications were generally ineffective in Weslaco, possibly due to reduced insecticide susceptibility or the late onset of pest infestation, and there were few differences in population density among treatments. Yields were higher in sprayed treatments, but there was little difference among threshold levels. Yield differences were not detected among any treatments for Yuma and Weslaco in 1994 and for Maricopa in 1995. The levels of lint stickiness due to honeydew deposition, as measured by thermodetector, were not consistent among sites and were not generally related to pest densities in the different threshold treatments. Levels of stickiness tended to be higher in 1994. There were no treatment effects on other standard measures of lint quality. A simple budgeting analysis assuming $43.24/ha per application for insecticides and $1.59/kg for lint suggested that action thresholds of 5-10 adults per leaf provided the highest net return at most sites. Hentz, M., Ellsworth, P., & Naranjo, S. (1997). Biology and morphology of Chelonus sp. nr. curvimaculatus (Hymenoptera: Braconidae) as a parasitoid of Pectinophora gossypiella (Lepidoptera Gelechiidae). Annals of the Entomological Society of America , 90(5), 631-639. Abstract: A general description of the life stages of Chelonus sp. nr. curvimaculatus, an egg-larval parasitoid of pink bollworm, Pectinophora gossypiella (Saunders), is presented. Pink bollworms were reared in the laboratory on a wheat germ diet. At 29°C, parasitoid eggs (0.12-0.18 mm) begin to eclose ∼22 h after oviposition. Three instars occur in this species. The 1st instar is endoparasitic and ranged in length from 0.14 mm (neonate) to 1.25 mm (∼9 d old. end of the 1st stadium). The 2nd instar also is endoparasitic and is 1.89-3.04 mm long. This stadium lasts ∼2-3 d. The 3rd instar is an average of 3.82 mm long and is endoparasitic early in its development but becomes ectoparasitic toward the completion of its development. This stadium lasts ∼3 d. The pupal stage lasts ∼6-7 d. Adult parasitoids begin to emerge ∼21 d after oviposition. Parasitized and unparasitized pink bollworm larvae deceloped through 4 stadia. Larval head capsule widths. body lengths, and weights of parasitized pink bollworms are significantly smaller than those of unparasitized larvae during the 3rd and 4th stadia. Parasitized 4th-instar pink bollworms have a mean head width of 0.8687 mm, body length of 6.28 mm, and weight of 6.9 mg. Fourth-instar unparasitized pink bollworm measurements were 1.0743 mm, 9.31 mm, and 17.7 mg, respectively. Naranjo, S. E., Diehl, J. W., & Ellsworth, P. C. (1997). Sampling Whiteflies in Cotton: Validation and Analysis of Enumerative and Binomial Plans. Environmental Entomology , 26(4), 777-788. Abstract: We tested enumerative and binomial sampling plans developed for Bemisia tabaci (Gennadius) in 3,240 ha of commercial cotton as part of the implementation of a community-wide integrated pest management (IPM) program in Laveen and Tolleson, AZ, in 1994. We compared new field observations to sampling distribution models developed previously for all lifestages, and validated and analyzed the performance of 5 sampling plans based on these models by resampling field data from 129 to 284 sites. Mean-variance relationships for the new data differed statistically from mean-variance models previously developed for adults, but not for eggs or nymphs. Resampling analyses indicated that desired precision (SE to mean ratio) was rarely achieved, on average, by fixed-precision sequential sampling plans. These enumerative sampling plans provided better precision than desired at moderate to high densities of eggs and adults and worse precision than desired at most densities of nymphs. An empirical model relating mean density to the proportion of leaves infested with 3 or more adult B. tabaci was accurate at mean densities < 2 adults per leaf but over-predicted mean density at higher densities. Resampling analysis revealed that a sequential sampling plan based on this empirical model was accurate at classifying population density relative to an action threshold of 5 adults per leaf. At nominal α and β error rates of 0.10, population density was correctly classified ≈87% of the time. Accuracy was not improved by reducing nominal error rates to 0.05. Resampling analysis of a fixed-sample size plan based on n = 30 gave similar results and increasing sample size to 50 increased accuracy only 3%. Further resampling analyses that more closely approximated scouting protocols (15 sample units drawn from each of 2 quadrants in the field) resulted in an average accuracy of ≈70%. Accuracy declined when populations densities differed greatly among quadrants in a field. Most of this error was associated with making a decision to control when pest density was below the action threshold. Based on a robust validation technique using field observations representing a wide range of environmental and agronomic conditions, our sampling plans performed well and should be useful for estimating and classifying population densities of B. tabaci in cotton over a wide area. Ellsworth, P. C., Bradley Jr., J. R., Kennedy, G. G., Patterson, R. P., & Stinner, R. E. (1992). Irrigation effects on European corn borer - maize water relations. Entomologia Experimentalis et Applicata , 64(1), 11-21. Abstract: This study examined the impact of irrigation water on certain aspects of an insect-plant relationship in the field including the assessment of plant-mediated water effects on an herbivore's development, survival, and behavior, and plant damage parameters and host tissue water status. Maize (Zea mays L.) plants were arranged in a randomized complete block design in the field over two years in North Carolina (NC). Four blocks were subjected to three different irrigation treatments initiated ca. one week before anthesis: optimal, intermediate, deficit water supply. Each plant was infested with one (1986) or two (1987) black head stage, E-race European corn borer [Ostrinia nubilalis (Hübn.)] (ECB) egg masses at tasselling. ECB development, tunnelling site, and survival as well as plant tissue water status (tissue % water contents [θ] & leaf water potentials [Ψ]) were recorded through July. The irrigation effect on ECB parameters was slight and variable. Internal stalk temperatures of optimal plants were consistently cooler than their deficit counterparts (1 day-degree/day). With degree-days included as an explanatory variable in the analyses, there were no significant irrigation effects on the ECB parameters, except for total proportion of ECB's bored into maize plant parts. More ECB's bored into drier plants than in optimal plants; however, this trend was not significant in 1987. Plant water indices showed that though Ψ responded to irrigation, there were only minor changes in tissue θ, particularly in view of the larger diurnal tissue changes observed and the relatively high, sustained stalk θ levels seen over all treatments. Examination of ECB pupal θ confirmed that dietary water changes were minor or non-limiting to the insects' developmental physiology, because pupal θ was not sensitive to the irrigation treatments. Though water supply changes have drastic developmental and agronomic consequences for the maize plant, little or no changes were seen in the ECB feeding environment. Furthermore, a plant damage model was developed whereby the total % of ECB's tunnelled into maize was related to the mean larval age. The implications of this model on the understanding of ECB tunnelling behavior, damage potential, and pest management is noted. © 1992 Kluwer Academic Publishers. Ellsworth, P. C., Patterson, R. P., Bradley Jr., J. R., Kennedy, G. G., & Stinner, R. E. (1989). Developmental consequences of water and temperature in the European corn borer - maize interaction. Entomologia Experimentalis et Applicata , 53(3), 287-296. Abstract: Maize plants were grown under four moisture regimes (wet to extreme deficit) and three constant temperatures (20°, 25° & 30°C) in a phytotron. Each plant was infested with one E-race European corn borer [Ostrinia nubilalis (Hubn.)] (ECB) egg mass at pollen shed. ECB development, location, and establishment were recorded over the course of 12 destructive sample dates (4/temperature). ECB developmental rates were not significantly affected by soil moisture treatments, but were significantly affected by temperature. In spite of successful establishment of four distinctly different soil moisture regimes, the maize stalk tissue water levels were not significantly different among soil water treatments. Instead, the maize plants exhibited accelerated leaf senescence in response to the water deficit conditions. Among the soil water treatments, differences were found in larval establishment, vertical distribution and dispersion, and feeding site selection; however, those effects were slight and could not explain the similarity in ECB developmental rates observed in these treatments. In maize, the larval environment within the stalk was effectively insulated from changes in the external environment by the plant's ability to maintain a relatively high and stable stalk tissue water content. Thus, large changes to the soil environment had essentially no effect on ECB development, though drastic consequences for the plant. This study indicates that ECB rates of development are relatively insensitive to changes in the soil water environment as well as the associated changes in the maize plant that accompany severe drought stress. The significance of these findings to insect modelling, crop physiology, and insect-crop interactions is discussed. © 1989 Kluwer Academic Publishers. Ellsworth, P. C., Umeozor, O. C., Kennedy, G. G., Bradley Jr., J. R., & Duyn, J. V. (1989). Population consequences of diapause in a model system: the European corn borer. Entomologia Experimentalis et Applicata , 53(1), 45-55. Abstract: The diapause biology of the European corn borer (ECB), Ostrinia nubilalis (Hübn. ), is described based on natural and controlled environment studies of feral and lab-reared ECB's in North Carolina (NC). The diapause response is described as a function of photophase (h of light/day) as well as a function of larval age (instar) at onset of diapause-inducing conditions. A critical photophase of 14.4 h and a critical mean larval instar of 3.3 is found in the lab studies and supported by three years of insectary studies. Seven years of black light trapping of ECB moths in Goldsboro, NC, revealed the likelihood of up to four moth flights/year. Information about the diapause biology of this insect is used to explain both the number of flights and the relative magnitude of the final moth flights. On average, the majority of ECB lineages pass through three generations/year with early maturing ECB's producing a significant and predictable fourth generation. The timing and magnitude of the fourth flight can be partly explained on the basis of the critical photophase and the timing and age structure of previous ECB generations. In most years, the fourth flight is smaller than the third due to the majority of the fourth generation's predisposition towards diapause. However, in at least one case (1977), the fourth flight was unusually large and could be predicted by slight temporal shifts in the previous three flights resulting in the majority of the fourth generation larvae averting diapause. The value of the ECB-diapause interaction as a model system for the explanation and prediction of dynamic phenological events is discussed. © 1989 Kluwer Academic Publishers. Brown, L., Ellsworth, P. C., Fournier, A. J., McCloskey, W. B., Dixon, W., Brown, L., Ellsworth, P. C., Fournier, A. J., McCloskey, W. B., & Dixon, W. (2013, January). Measuring Up! Involving Stakeholders in Assessment of an Industry's IPM Revolution. In 2013 Beltwide Cotton Conferences . Asiimwe, P., Naranjo, S., & Ellsworth, P. (2012, October). Seasonal dynamics of L. hesperus (Hemiptera: Miridae) and its predators as mediated by differential irrigation and insecticide treatment. In 3rd International Lygus Symposium . Ellsworth, P., Brown, L., Fournier, A., & Dixon, W. (2012, March). Measuring Up! Involving Stakeholders in Assessment of an Industry s IPM Revolution. 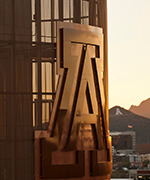 University of Arizona, Department of Entomology & Arizona Pest Management Center. In 7th International IPM Symposium . Fournier, A., Ellsworth, P., Dixon, W., Palumbo, J., & Peterson, J. (2012, March). 20 years of agricultural pesticide use data reveal dramatic reduction in broad-spectrum insecticides. In 7th International IPM Symposium . Mostafa, A., Ellsworth, P., Hagler, J., & Naranjo, S. (2012, October). Field-Scale Movement of Lygus Bugs in Arizona Cotton. In 3rd International Lygus Symposium . Naranjo, S., & Ellsworth, P. (2012, June). Biological control of a cotton pest: Bemisia tabaci in Arizona transgenic cotton as a case study. In International Congress of Entomology, Emerging Pests in Bt Crops , invited presentation . Richardson, J., Castro, B., Lee, J., Thomas, J., Ellsworth, P., Godfrey, L., Kerns, D., & Wright, S. (2012, January). TransformTM field performance on Lygus hesperus in Western cotton. In Proc. Beltw. Cotton Conf. .
Ellsworth, P. C., Richardson, J., Castro, B., Thomas, J., EllsworthPC, ., Godfrey, L., & Kerns, D. (2011, Fall). TransformTM: field performance against Lygus Hesperus in cotton. In Beltwide Proceedings . Ellsworth, P., Li, S., Tabashnik, B., Holloway, J., & Humphrie, R. (2011, Fall). Pink bollworm efficacy dynamics in TwinlinkTM cotto. In Beltwide Proceedings . Dixon, W. A., Carriere, Y., Palumbo, J. C., Fournier, A. J., & Ellsworth, P. C. (2018, November). Proactive Resistance Management: Can We Predict, and Ultimately Delay, Resistance Development in Whiteflies Across the Agricultural Landscape? . IRAC Symposium: Impact of Borders on Managing Insect Resistance Management, Entomological Society of America Annual Meeting. Vancouver, British Columbia, Canada: USDA-National Institute of Food and Agriculture. Dixon, W. A., Ellsworth, P. C., & Fournier, A. J. (2018, March). Extension Education to Support Insecticide Resistance Management: Chemical Use Maps for Whitefly Management . Novel Approaches to IPM Extension: Transferring Learning Across Contexts (symposium), 9th International IPM Symposium. Baltimore, MD: Oregon State University. Mostafa, A. M., Ellsworth, P. C., Hagler, J., & Naranjo, S. (2017, April). Dispersal of Lygus, Thrips & Natural Enemies: Implications for Refuges in Managing Resistance to Lygus-specific Bt Cotton . 2017 International Heteroptera Symposium & Workshop. Seaside, CA: Cooperative Extension, Division of Agriculture and Natural Resources, University of California. Fournier, A. J., Ellsworth, P. C., & Dixon, W. A. (2014, May 28). APMC Pesticide Use Database Advisory Committee . University of Arizona Cooperative Extension, Arizona Pest Management Center. Yuma Agricultural Center, Yuma, AZ. Fournier, A. J., Ellsworth, P. C., & Dixon, W. A. (2014, May 29). APMC Pesticide Use Database Advisory Committee . University of Arizona Cooperative Extension, Arizona Pest Management Center. Maricopa Agricultural Center, Maricopa, AZ. Gouge, D. H., Nair, S., Li, S., Umeda, K. -., Fournier, A. J., Ellsworth, P. C., Schuch, U. K., Kopec, D. M., & Baker, P. B. (2014, April 2). School IPM Inside and Out . UA-EPA School IPM Grant "Big Check" presentation and recognition event. Metro Tech High School, Phoenix, AZ. Mostafa, A. M., Ellsworth, P. C., Brown, P. W., Ottman, M. J., & Mccloskey, W. B. (2014, July 1). Alfalfa “Tent Talks” Meeting . University of Arizona Cooperative Extension. Jason Rovey's Farm, Buckeye, AZ. Mostafa, A. M., Ellsworth, P. C., Hagler, J., & Naranjo, S. (2014, 4). Field-Scale Movement of Pest and Beneficial Insects in Cotton. . Leaving a Mark: Marking Technologies for Tracking Insect Movement Symposium. Entomological Society of America – Pacific Branch. Tucson, AZ: Entomological Society of America. Mostafa, A. M., Mostafa, A. M., Ellsworth, P. C., Ellsworth, P. C., Norton, E. R., Norton, E. R., Brown, L. M., & Brown, L. M. (2014, October 28). 2014 MAC Cotton Field Day . University of Arizona Cooperative Extension. Maricopa Agricultural Center. Palumbo, J. C., & Ellsworth, P. C. (2014, Apr). Influence of Cropping System on the Sustainability of Insecticide Efficacy . Pacific Branch- ESA Meeting, Lansdcape Ecology Symposium. Tucson, AZ: Entomological Society of America. Brown, L., & Ellsworth, P. C. (2013, June). Brown Stink Bug Sampling, Damage, and Management in Cotton . CAPCA Conference. Palo Verde Irrigation District, Blythe, CA: CAPCA. Ellsworth, P. C. (2013, August). Cotton IPM and Transform Insecticide . Dow Field Tour. Maricopa Ag Center, Maricopa, AZ: Arizona Pest Management Center. Ellsworth, P. C. (2013, February). Research Update: Resistance & Resistance Management . Cooperative Extension Field Crops Meeting. Marana Health Center, Marana, AZ: University of Arizona Cooperative Extension. Ellsworth, P. C. (2013, February). Update on Whitefly Resistance Management and Cotton IPM . Cooperative Extension Field Crops Clinic. AZ Farm Bureau Building, Gilbert, AZ: University of Arizona Cooperative Extension. Ellsworth, P. C. (2013, February). Update on Whitefly Resistance Management and Cotton IPM . Cooperative Extension Field Crops Clinic. Raul and Theresa's Restaurant, Avondale, AZ: University of Arizona Cooperative Extension. Ellsworth, P. C. (2013, February). Update on Whitefly Resistance Management and Cotton IPM . Cooperative Extension Field Crops Meeting. Central AZ College Signal Peak Campus, Coolidge, AZ: University of Arizona Cooperative Extension. Ellsworth, P. C. (2013, January). Cotton Pest Management Update . La Paz County Agronomic Workshop. Elks Lodge, Parker, AZ: University of Arizona Cooperative Extension. Ellsworth, P. C. (2013, January). Pest Management Update . Agronomic Workshop. Yuma Ag Center, Yuma, AZ. : University of Arizona Cooperative Extension. Ellsworth, P. C. (2013, July). In-Season Cotton Insect Management: Brown Stink Bug Management . Extension Tent Talks; Meeting. H-4 Farms, Buckeye, AZ: University of Arizona Cooperative Extension. Ellsworth, P. C. (2013, July). In-Season Cotton Insect Management: Brown Stink Bug Management . Extension Tent Talks; Meeting. Le Smith’s Farm, AZ: University of Arizona Cooperative Extension. Ellsworth, P. C. (2013, July). In-Season Cotton Insect Management: Brown Stink Bug Management . Extension Tent Talks; Meeting. Maricopa Ag Center, Maricopa, AZ: University of Arizona Cooperative Extension. Ellsworth, P. C. (2013, July). In-Season Cotton Insect Management: Brown Stink Bug Management . Extension Tent Talks; Meeting. Tom Clark’s Farm, Marana, AZ: University of Arizona Cooperative Extension. Ellsworth, P. C. (2013, June). Cotton IPM, Selective Controls, & Lygus Management . US-EPA Border 2012 Project. Mexicali, Mexico: University of Arizona Cooperative Extension. Ellsworth, P. C. (2013, June). In-Season Cotton Insect Management: Brown Stink Bug Management . Extension Tent Talks; Meeting. A Tumbling T Ranches, Goodyear, AZ: University of Arizona Cooperative Extension. Ellsworth, P. C. (2013, November). Cotton Pest Losses Workshop . Cotton Pest Losses Workshop. Various; 4 locations: Arizona Pest Management Center. Ellsworth, P. C. (2013, November). Modeling recovery in risk assessment and management . EFSA Scientific Colloquium XIX: Biodiversity as protection goal in environmental risk assessment for EU agro-ecosystems. Parma, Italy: EFSA Scientific Colloquium XIX. Ellsworth, P. C. (2013, November). Update on Stink Bugs and Whitefly Management in Arizona . Late Season Extension Field Crops Day. Gary Mayfield Cotton Field, Buckeye, AZ: University of Arizona Cooperative Extension. Ellsworth, P. C. (2013, October). Brown Stink Bug Management Trials in Arizona . 3rd Annual Central Arizona Farmer Field Day. Maricopa Ag Center, Maricopa, AZ. Ellsworth, P. C. (2013, October). GMO's, NTO's, Bt & IPM: Making Sense of Genetically Modified Crops . Arizona Highlands Garden Conference 2013. Miami, AZ: University of Arizona Cooperative Extension. Ellsworth, P. C. (2013, October). Stink Bugs, Whiteflies & Difficult Late-Season Decision Making . Fall Field Crops Meeting. Marana Health Center, Marana, AZ: University of Arizona Cooperative Extension. Ellsworth, P. C. (2013, September). Appropriate Use of Your Data? Mapping Chemical Use Patterns . Arizona Pest Management Center Pesticide Use Database Advisory Committee. Maricopa Ag Center, Maricopa, AZ: Arizona Pest Management Center. Ellsworth, P. C. (2013, September). Stink Bugs, Whiteflies & Difficult Late-Season Decision Making . Late Summer Pinal County Agronomic Workshop. Tags Cafe;, Coolidge, AZ: University of Arizona Cooperative Extension. Ellsworth, P. C., & Brown, L. (2013, October). Commercial-scale Brown Stink Bug Management Trials in Arizona . University of California and Arizona Cotton Workshop. City of Blythe multi-purpose room, Blythe, AZ: University of Arizona Cooperative Extension. Ellsworth, P. C., Li, X. -., Carriere, Y. -., Brown, L., & Nichols, R. L. (2013, March). Cotton Pest Management Research Update: Resistance & Resistance Management . Southwest Ag Summit. Arizona Western College, Yuma, AZ: 2013 Southwest Ag Summit. Ellsworth, P. C., Li, X. -., Dennehy, T. J., Palumbo, J. C., Castle, S., Prabhaker, N., & Nichols, R. L. (2013, May). Is Monitoring Susceptibility of Bemisia tabaci to Insecticides Useful to Management? . First International Whitefly Symposium. Kolymbari, Crete, Greece. Ellsworth, P. C., Palumbo, J. C., Carriere, Y. -., Fournier, A. J., & Dixon, W. A. (2013, August). Appropriate Use of Your Data? Mapping Chemical Use Patterns . Arizona Pest Management Center Pesticide Use Database Advisory Committee. Yuma, AZ: Arizona Pest Management Center. Ellsworth, P. C., Palumbo, J. C., Carriere, Y. -., Fournier, A. J., & Dixon, W. A. (2013, September). Chemical Use Data & Resistance. Useful? . Late Summer La Paz County Agronomic Workshop. Elks Lodge, Parker, AZ: University of Arizona Cooperative Extension. Jepson, P., Guzy, M., Dixon, W. A., Fournier, A. J., Ellsworth, P. C., & Palumbo, J. C. (2013, March). Lettuce IPM Workshop: Better IPM, Better Pesticides, Better Environment for Lettuce Production . Southwest Ag Summit. Arizona Western College, Yuma, AZ: 2013 Southwest Ag Summit. Jepson, P., Guzy, M., Dixon, W. A., Fournier, A. J., Ellsworth, P. C., & Palumbo, J. C. (2013, March). Pesticide Use in Arizona Lettuce: Understanding and Reducing Risk . Southwest Ag Summit. Arizona Western College, Yuma, AZ: 2013 Southwest Ag Summit. Ellsworth, P. (2012, March). Closing Plenary: Research Informs the Practice of IPM, the Critical Link that Separates Fad from Science-Based Application (4 slides per page, PDF file 3.1MB) . 7th International Integrated Pest Management Symposium. Memphis, TN. Ellsworth, P., FournierA, ., DixonW, ., Palumbo, J., Gouge, D., Umeda, K., & Peterson, J. (2012, March). Enhancing Capacity for IPM Practice and Assessment in Arizona. NIFA IPM Programs: Legacy and Impacts Symposium (4 slides per page, PDF file 1.8MB) . 7th International Integrated Pest Management Symposium. Memphis, TN. Fournier, A. J., Ellsworth, P. C., Palumbo, J. C., Brown, L. M., & Dixon, W. A. (2012, April). IPM Program Assessment . Entomology IPM Course (ENT 468). Ellsworth, P. C. (2011). Arizona Crop Improvement Association . Ellsworth, P. C. (2011). Association of Applied Insect Ecologists . Ellsworth, P. C. (2011). Desert Ag Conference . Ellsworth, P. C. (2011). Dow Consultant's Exchange . Ellsworth, P. C. (2011). European Whitefly Symposium . Ellsworth, P., FournierA, ., Goodell, P., Kerns, D., ParajuleeM, ., & , . (2011). The influence of landscape on Lygus Management: What can growers do about it? P-IE Symposium, Transcending Geography with Regional Cotton IPM Projects . San Diego, CA: Entomological Society of America. Crump, A., Baur, M., Horowitz, A., Chorover, J. D., Sisco, R., Farrar, J. J., Ellsworth, P. C., & Fournier, A. J. (2018, March). Regional IPM and IR4 Collaboration: Assessing Pesticide Compatibility in an IPM Program . 9th International IPM Symposium. Baltimore, MD: USDA-National Institute of Food and Agriculutre, Western IPM Center at UC Davis. Ellsworth, P. C., Prabhaker, N. P., Castle, S. J., Brown, L. M., Dixon, W. A., Carriere, Y. P., Palumbo, J. C., Fournier, A. J., & Naomi, P. (2018, March). Adoption of Proactive Resistance Management Practices to Control Bemisia Tabaci in Arizona and California . 9th International IPM Symposium. Baltimore, MD: USDA-National Instituted of Food and Agriculture. Pier, N., Ellsworth, P. C., Palumbo, J. C., Carriere, Y., Fournier, A. J., Castle, S., Dixon, W., & Brown, L. (2016, Sep). Proactive resistance management of Bemisia tabaci in the cross-commodity systems of Arizona and California . ICE/ESA Annual Meeting. Orlando, FL: ICE/ESA. Brown, L. M., Ellsworth, P. C., Fournier, A. J., Naranjo, S. E., & Vandervoet, T. (2014, April). Facilitating Adoption of Conservation Biological Control in Cotton IPM . Entomological Society of America Pacific Branch Meeting. Tucson, AZ. Nair, S., Gouge, D. H., Li, S., Fournier, A. J., Ellsworth, P. C., Umeda, K., Schuch, U. K., Kopec, D. M., & Baker, P. B. (2014, 11/10). Bed Bug Battle IPM Mosquito Management and Fall Landscape Checklist School and Home IPM Newsletter October 2014. . Arizona Cooperative Extension. Tucson, AZ: CALS. Nair, S., Gouge, D. H., Li, S., Fournier, A. J., Ellsworth, P. C., Umeda, K., Schuch, U. K., Kopec, D. M., & Baker, P. B. (2014, 11/10). Community IPM-Integrated pest management for community environments . CALS Annual Research Poster Forum. Tucson, AZ: CALS. Nair, S., Gouge, D. H., Li, S., Fournier, A. J., Ellsworth, P. C., Umeda, K., Schuch, U. K., Kopec, D. M., & Baker, P. B. (2014, November 10). Community IPM-Integrated pest management for community environments . CALS Annual Research Poster Forum. Tucson, AZ: CALS. Nair, S., Nair, S., Gouge, D. H., Gouge, D. H., Li, S., Li, S., Fournier, A. J., Fournier, A. J., Ellsworth, P. C., Ellsworth, P. C., Umeda, K., Umeda, K., Schuch, U. K., Schuch, U. K., Kopec, D. M., Kopec, D. M., Baker, P. B., & Baker, P. B. (2014, October 4). Community IPM-Integrated pest management for community environments . Central Arizona Cooperative Extension Centennial Celebration - Celebrating the Past, Envisioning the Future, Phoenix AZ. Phoenix, AZ: CALS. Ellsworth, P. C., Fournier, A. J., & Pier, N. (2018, May). Risky Business: What is Risk?. IPM Short, Arizona Pest Management Center. Jepson, P., Halbleib, M., Ellsworth, P. C., & Fournier, A. J. (2018, March). Novel Approaches to IPM Extension: Transferring Learning Across Contexts (symposium). 9th International IPM Symposium. Ellsworth, P. C. (2013, January). Pest Management Update. University of Arizona Yuma Ag Center, Yuma, AZ. 28 participants. 0.6 AZ CEU. Ellsworth, P. C. (2013, June). Field Demonstrations of Reduced-risk Insecticides. US-EPA Border 2012 Project. Ellsworth, P. C., & Brown, L. M. (2013, June). Frequently Asked Questions: Brown Stink Bugs (revised 02/17/14). University of Arizona Cooperative Extension, Arizona Pest Management Center. Ellsworth, P., Naranjo, S., Norton, R., & Olsen, M. (2012, Fall). Evaluation of Utility and Value of Arizona s Plow-down Program. Arizona Cotton Growers Association. Ellsworth, P. C., & Cline, H. (2011, June). Lygus bug story. Western Farm Press. Ellsworth, P. C., & Northcutt, G. (2011, Fall). Lygus Bug Electronic Newsletter. Lygus Bug Electronic Newsletter. Ellsworth, P. C., & Northcutt, G. (2011, June). Controlling Lygus Bugs by the Numbers. Western Farm Press. Ellsworth, P. C. (2010, Fall). Lygus in the West special e-newsletter. Western Farm Press. Ellsworth, P. C. (2010, Fall). Medical Marijuana Act (Proposition 203). UA Cooperative Extension. Ellsworth, P. C. (2010, Fall). USDA NIFA's Proposed Crop Protection Program Budgetary Line. Ellsworth, P. C., & Fournier, A. (2010, Fall). The Arizona Pest Management Center: Advancing Agricultural IPM in the Desert Southwest. PSEPWire Article. Ellsworth, P. C., Naranjo, S., & O'Brien, D. (2010, Fall). Integrated Control System Improves Cotton Health. ARS Magazine.